They do make a great team, especially when threatening perfectly innocent pictures! 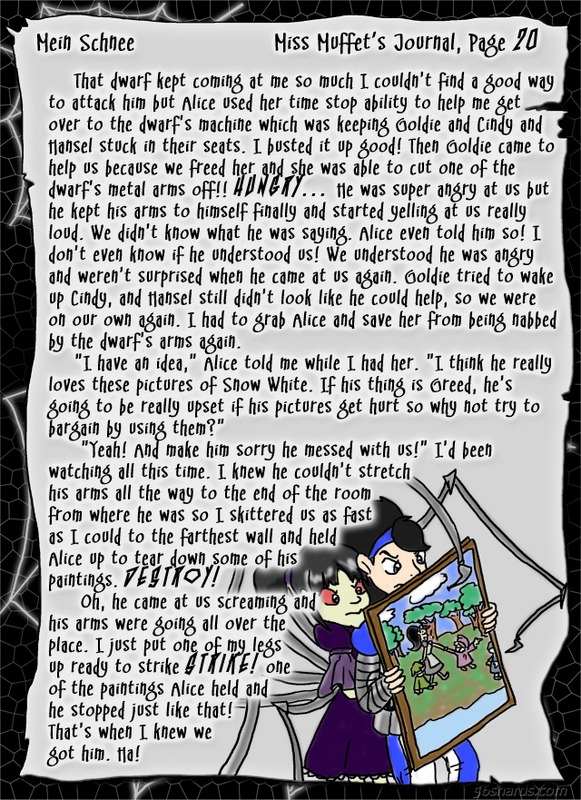 With how well Alice and Miss Muffet works together they can almost give Hansel and Gretel a run for their money with some practice in battle tactics and mental thinking. Holding a picture hostage. I haven’t heard of that before. They say ‘know your enemy’ and this is an excellent example of that.